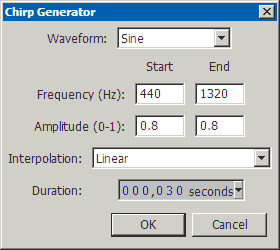 Chirp Sine 1Hz-22000Hz Sample Sound　-40dB / 20sec. 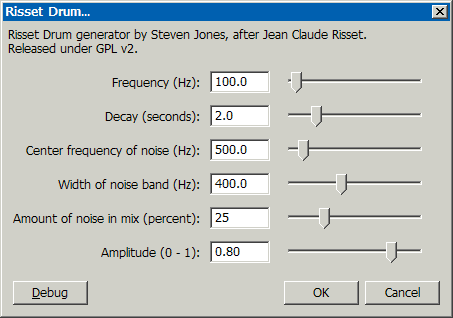 Sample Sound　-25dB / 5sec. 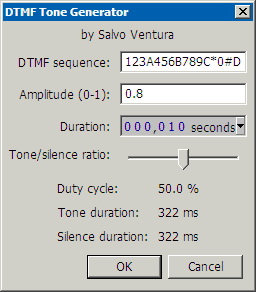 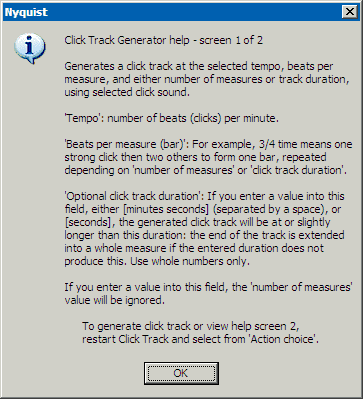 Sample Sound　-30dB / 5sec. 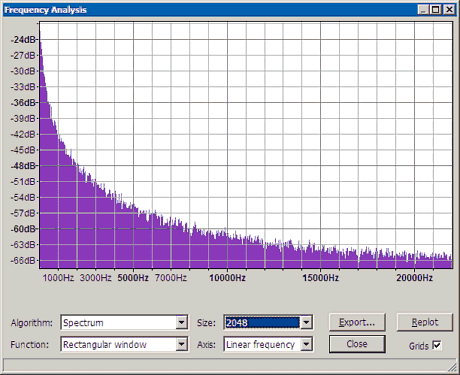 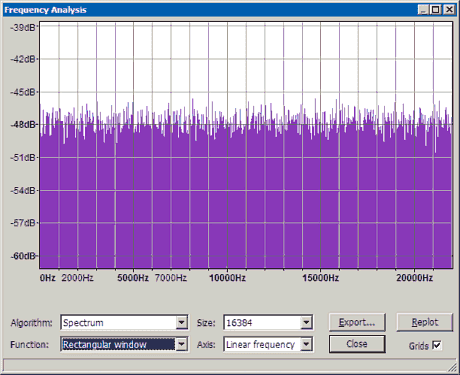 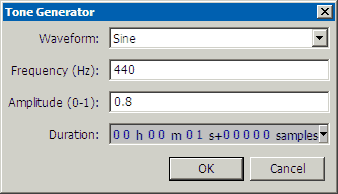 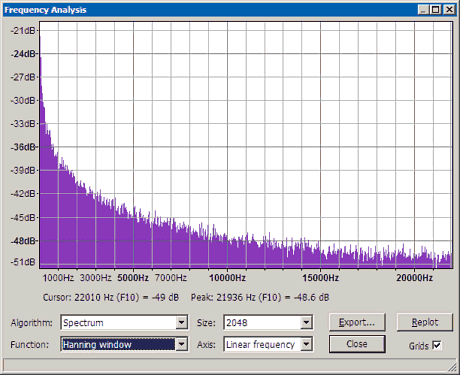 Sine 440Hz Sample Sound　-31dB / 5sec. 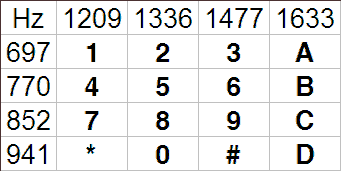 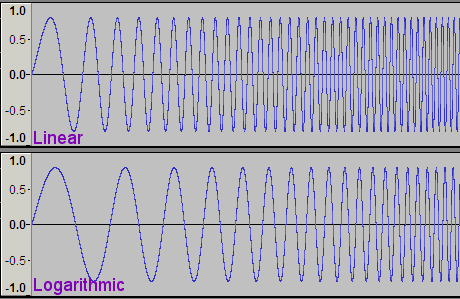 Square 440Hz Sample Sound　-34dB / 5sec. 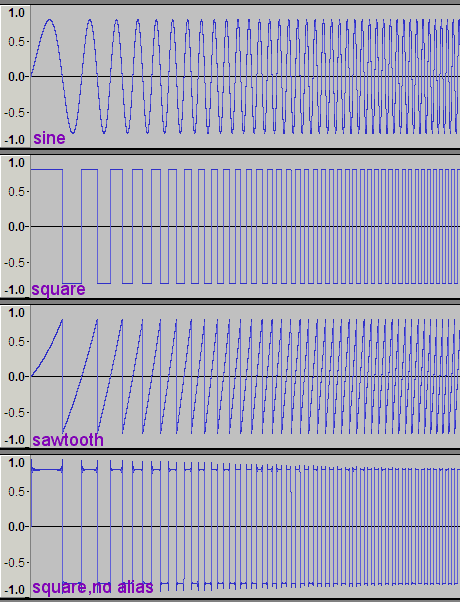 Sawtooth 440Hz Sample Sound　-34dB / 5sec. 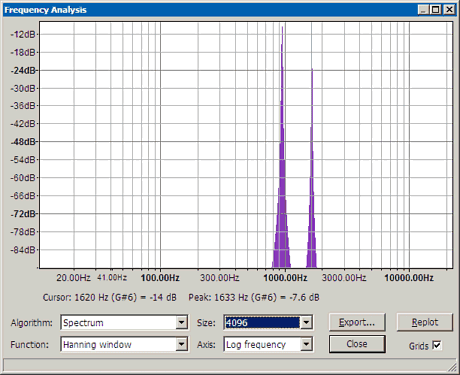 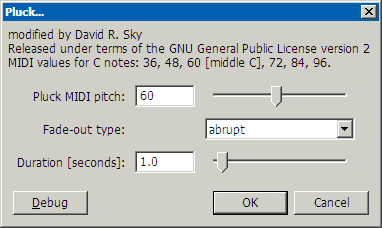 Square,no alias 440Hz Sample Sound　-34dB / 5sec. 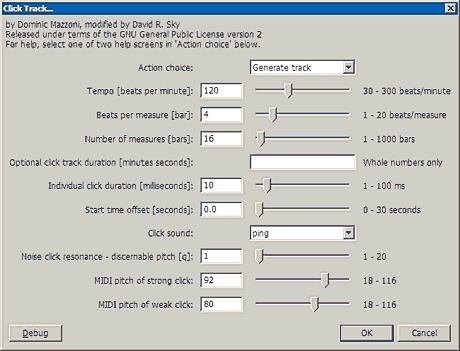 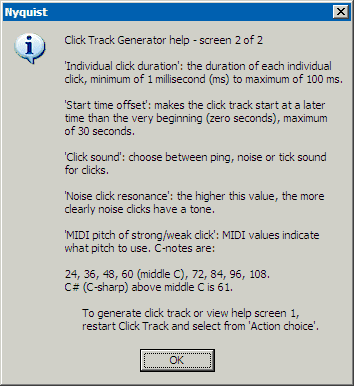 Produces a realistic drum sound consisting of a sine wave ring-modulated by narrow band noise, an enharmonic tone and a relatively strong sine wave at the fundamental. 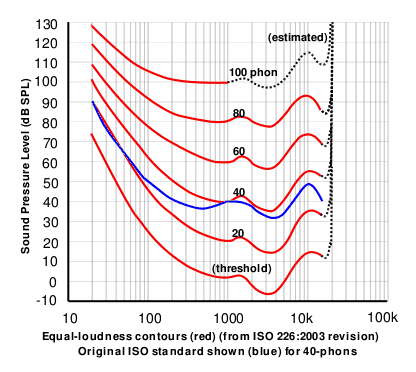 The length of the drum sound is determined by the "Decay" field.